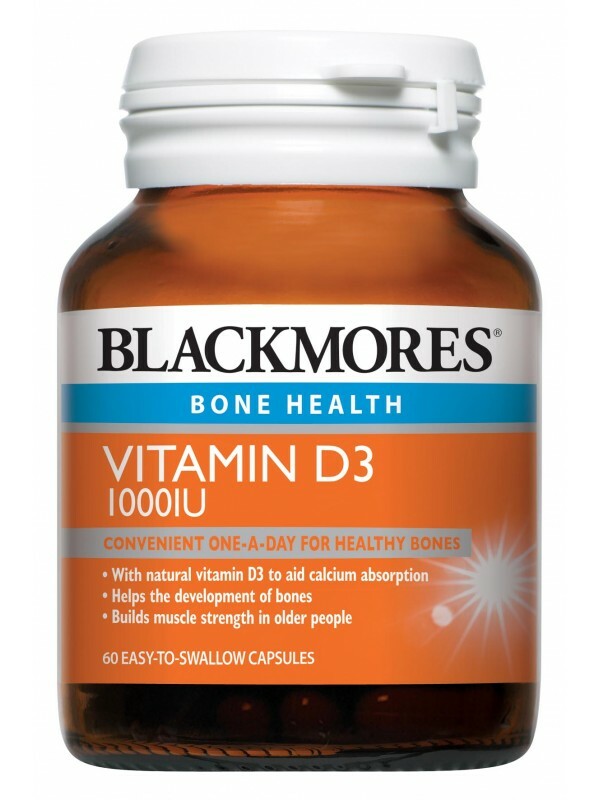 Blackmores Vitamin D3 contains natural vitamin D3 to aid calcium absorption, helps the development of bones and builds muscle strength in older people. Vitamin D helps improve calcium and phosphate absorption, which are important for healthy bones. Vitamin D3 is the body's natural form of vitamin D and is longer lasting and more effective than vitamin D2 at raising the levels of vitamin D in the blood. Take 1 capsule a day with a meal, or as professionally prescribed.